1 Fry the sliced onion and the ginger in a large pot with 2 tbsp hot oil. Add the meat and 1.5 litres water and bring to the boil. Reduce the heat and simmer for 1.5-2 hours. Scoop off the foam every so often. 2 Add the spices and the fish sauce and season with salt. Simmer for a further 45 min. 3 Strain the soup and set the meat aside. 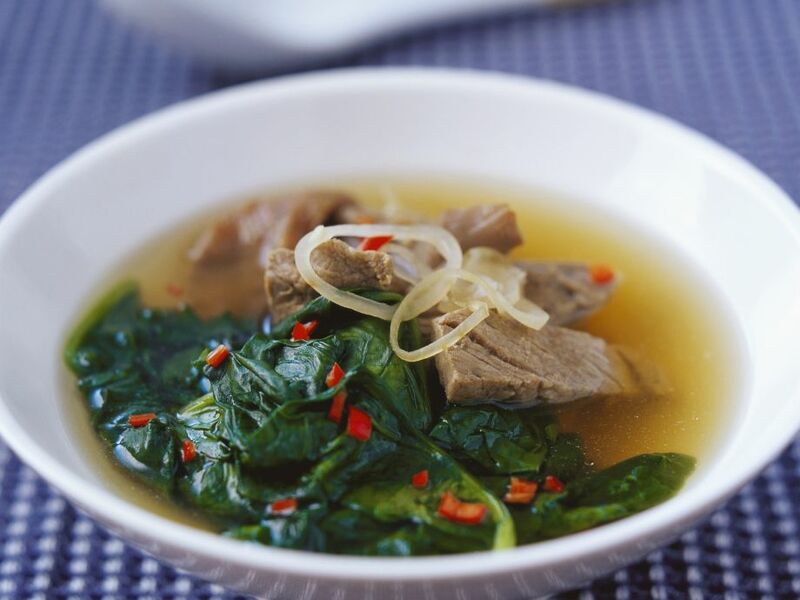 Cut into thin strips and place in bowls along with the spinach, onion rings and chillis. Add the hot broth, steep for a few minutes and serve.